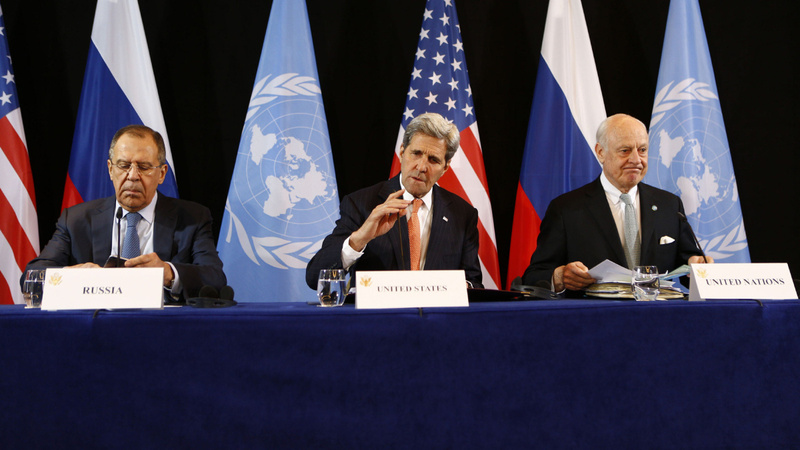 After repeated ceasefires failures, we assess the most likely outcomes for the Syrian conflict. June 2012: Geneva conference peace talks fail to reach an agreement. February 2014: UN-brokered, Geneva II peace talks fail. February 2016: UN-brokered, Geneva III peace talks are suspended without a deal. 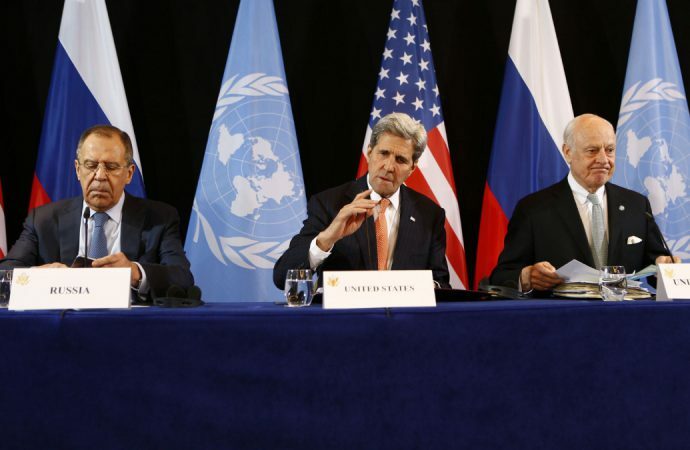 February 27, 2016: The US and Russia broker a ‘cessation of hostilities’ but exclude UN-designated terrorist groups. Ceasefire gradually unravels over next few months. August 24, 2016: Turkey enters northern Syria to rid the border of ISIS combatants. September 12, 2016: The US and Russia agree to a ceasefire and increased cooperation to combat ISIS and Jabhat Fateh al-Sham. September 19, 2016: After violations on both sides, the Syrian regime announces the end of the ceasefire. October 8, 2016: France and Spain introduce a ceasefire resolution at the UN Security Council, which is vetoed by Russia, Moscow responds a resolution that has no commitment to end airstrikes. This also fails. October 15, 2016: US, Russia, and other international actors – but not Iran – renew ceasefire talks, inside sources remain sceptical of an outcome. Despite recent setbacks, the US and Russia, and their respective allies have an appetite for some form of ceasefire agreement. For the US and its European allies, the main factors motivating their desire for a ceasefire are relatively straight forward – resolving a conflict that is contributing to Europe’s refugee crisis, containing and defeating ISIS, preventing an outright Assad victory, and providing humanitarian aid to Syrian civilians. The US, in particular, is primarily focused on defeating ISIS. For the US’ Gulf allies, concerned more with regional stability, are focused on combatting Assad and reducing Iranian regional influence. Unlike other international actors, Turkey has boots on the ground in northern Syria. This will likely increase its bargaining power in the event of a ceasefire. While they share many of the interests of the US and their European allies, Ankara’s primary concern is to prevent the growing influence of Kurdish militants along the Turkish border. A secondary concern is to restrict ISIS’ ability to plan and execute attacks conduct attacks inside Turkey. Russia also has interests in pursuing a truce. A ceasefire now would allow Moscow and Damascus to enter negotiations with a battlefield advantage, which may enable Assad to remain in power after a permanent peace is installed. This, in turn, secures Russian influence in the region. Perhaps more importantly, Russia could use ceasefire negotiations to gain leverage over the US in relation to Ukraine – an issue much closer to Moscow’s core national interests than Syria. On the other hand, Russia gains little from the condemnation it receives for its involvement in Syria, although it is hard to say how much international opinion factors into the Kremlin’s strategic planning. In contrast, condemnation may actually bolster President Putin’s strongman image and stir nationalist sentiment among the Russian people, providing an important rallying cry amid a gloomy economic outlook. Russia will have to weigh up the costs – namely the sanctions being considered by the US and EU – with the benefits of solidifying Syria’s position on the battlefield. Finally, Syria – having been bolstered by Russian and Iranian support – now favours localised ceasefires and the surrender of individual rebel groups. However, with a military apparatus weakened by five years of civil war, it may be lured back to the negotiation table if it is unable to achieve the quick and decisive victories it desires. While there is an appetite for a ceasefire, diplomats face considerable difficulty in finding terms all can agree upon. This is compounded by the lack of a unified front on either side. Pro-regime and rebel militias are becoming increasingly tangled with their individual alliances, battlefield priorities, and the interests of their state sponsors all playing a role. For the rebels, one of the biggest obstacles lies in the willingness of several militias to work with Jabhat Fateh al-Sham (JFS) – formerly Jabhat al-Nusra – a US-designated terrorist group with possible ties to al-Qaeda. Rebel militias are reluctant to break up with a group that has provided key support against the Syrian regime in the past. Even if the rebels manage to disentangle themselves from JFS, the fluidity of the relationships on the ground and the blurring of the lines between terrorist and rebel could still be used by state actors as justification to target a group during a ceasefire. These semi-autonomous militias will likely distrust renewed ceasefire efforts. Weakened by years of conflict, the Syrian Army has become reliant on local and foreign-sponsored militias, which are increasingly autonomous. In addition to its dependence on Hezbollah and its Syrian-based affiliates (all of whom have strong ties to Iran), pro-regime militias have become more independent and self-interested; some have even openly defied regime orders. The regime will find it difficult to enforce an effective ceasefire among its many disparate militias. Ultimately, the high number of disparate semi-autonomous militias on both sides of the conflict increases the chances of some form of insurgency continuing even if major actors agree to a ceasefire. The US and its allies are already committed to supplying various rebel groups with weapons and will likely continue to do so. With Russia’s continued military support to the Syrian regime, the US may consider supplying more effective weapons to the rebels to counter Syria and Russia’s technological advantage. Presently, Washington’s Gulf allies are considering supplying rebel groups with man-portable air-defence systems (MANPADS) to target Syrian and Russian aircraft, of which some groups already have a limited number. To date the US has avoided this option, citing the high risk of having these weapons fall into the hands of extremists. However, support for such action is growing. Supplying better weapons will likely prolong the conflict while specific weapons, such as MANPADS, would act as a deterrent against Syrian, Russian, and US-coalition airstrikes – the latter assuming extremists gain MANPADS. Russia could use the US election and subsequent political transition period to quickly secure the Assad regime’s dominance in key cities. Moscow’s contribution to the Aleppo siege indicates this is an ongoing tactic. The Obama administration, in its lame duck period, is not capable of responding effectively, and the incoming president could be presented with a fait accompli. While this does not negate the possibility of a future ceasefire, military gains made while the US is unlikely to respond will strengthen Russia’s negotiation position. Civilian casualties during this period will likely be high. Turkey’s stated purpose in northern Syria was to rid the border of ISIS, but in reality is likely more concerned about the spread of Kurdish groups in the area. After its recent invasion, Ankara’s strong military presence in the north of Syria gives it the ability to dictate terms for a safe zone; namely to remove Kurdish militias like the US-backed People’s Protection Unit (YPG) from the border region. However, establishing this zone will likely be contingent on both American and Russian support due to the enormous logistics required and the need to mitigate the risk of escalating the conflict with other major actors involved in the region. Already, the US has warned Turkey about targeting the YPG while Russia has warned over potential clashes with regime forces. Turkey currently occupies a narrow band along the Turkish border and has announced its intention to move 45 kilometres further south to Manbij in support of the Free Syrian Army. If Turkey continues to push further south, it may meet strong opposition from the US and Russia. This would also increase the risk of accidental clashes between Turkish troops and Syrian regime forces. For the time being, Turkey seems to have little interest in clashing directly with either, especially Russia. While Turkey’s President Erdogan continues to speak out against Assad, diplomatic efforts to normalise relations with Iran and Russia – previously sundered over clashes in Syria – could suggest Turkey is now less interested in ousting Assad. Instead, Ankara has likely made the pragmatic choice to focus on preventing the Kurds from gaining a foothold along the border. Reflecting their shift in focus, Erdogan has also offered to join the US-led operation to retake Raqqa, ISIS’ Syrian capital, on the condition that the YPG is excluded from the battle. The US continues to support the YPG. Ultimately, Turkey’s involvement in Syria has high risks and rewards. They could position themselves to broker a ceasefire, favourable to Turkish interests, but they could also greatly increase the risks of escalating the conflict. A number of more direct military avenues are still available to the US, including putting boots on the ground, enforcing a no-fly zone, or securing safe zones. Presently, the US administration remains committed to avoiding military escalation, but there is growing pressure for stronger action following the breakdown of ceasefire negotiations. While maintaining safe zones and no-fly zones has more support in Congress and the military, such actions would increase the risk of a direct clash between the US and Russia. 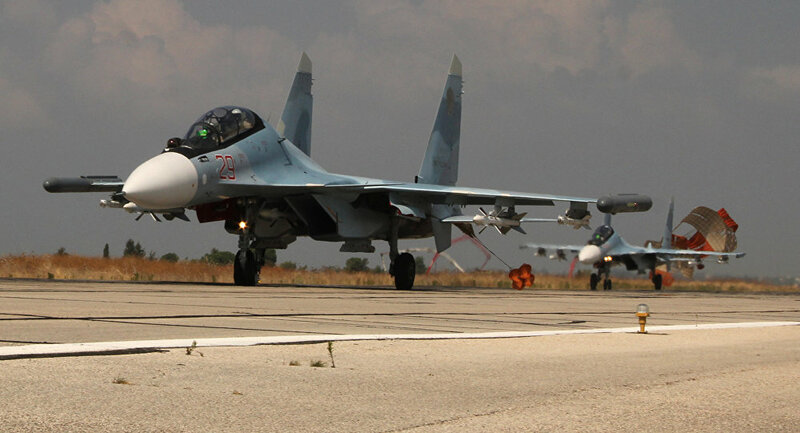 Over the past year, Russia has increased its presence in Syria, deployed mobile air-defences capable of threatening US planes, increased its naval presence in the Mediterranean, and threatened to retaliate against direct attacks on Syrian forces. Thus, safe zones and no-fly zones would be difficult to maintain without Russian cooperation. Meanwhile, both presidential candidates have expressed support for stronger military intervention in Syria, although neither has advocated for an attack against the regime. Clinton – leading in the polls – has said she favours establishing a safe zone.